XArc Decision Support services form the backbone of reality checks on client projects. Our assessments can provide validation of assumptions used, verification of program requirements or drive down "desirements", and impose a rigorous risk management process to provide the basis of informed decision making. XArc’s Visualization Analysis Sequencing Technique (VAST™) is a proven modeling analysis methodology that provides visual “snapshots” of the sequence of an operational process simulated over time, and has been successfully used in past client projects to drive out and understand complex variables in systems planning. Illustrated sequencing of the outpost buildup with pictorials of mission snapshots to play out the operational scenario and visualize the sequence of risks along the way to how the prepared landing zone gets to its ready state in time for arrival of next crewed Altair lunar lander mission. 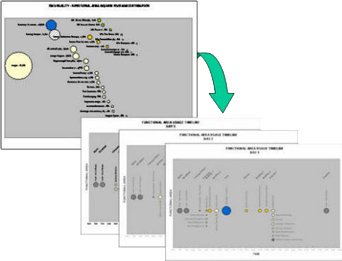 Identified and ranked risks according to a risk matrix priority scoring using Constellation Program criteria for risk consequence scoring; formulated mitigation strategies. 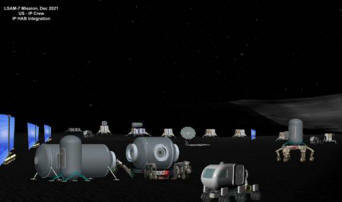 Client: Space Enterprise Counsel / NASA ESMD Lunar Surface Systems Project Office. 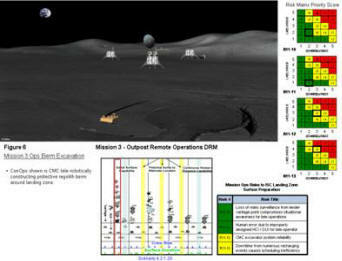 Visualization of a notional Lunar Outpost construction sequence using Constellation Program baselined Altair lunar lander flight manifest. Visualization analysis depicting how an International Partner (IP) provided habitation module and IP developed cargo lunar lander can operationally and programmatically integrate into the NASA Constellation Program. 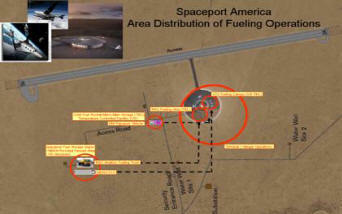 Visualization of concept of operations for fueling sequence of Virgin Galactic White Knight2 and Space Ship2 spacecraft with NO2 and Solid Fuel Rocket Motors to achieve a hangar design for accommodating a throughput turnaround of 4 flights per day. Development of Concept of Operations for spacecraft processing. Risk assessment and recommended mitigation strategies. XArc completed a construction sequence visualization assessment during an integrated design-bid-build competition for a $467M, five-year multi-facility renovation and new construction project.